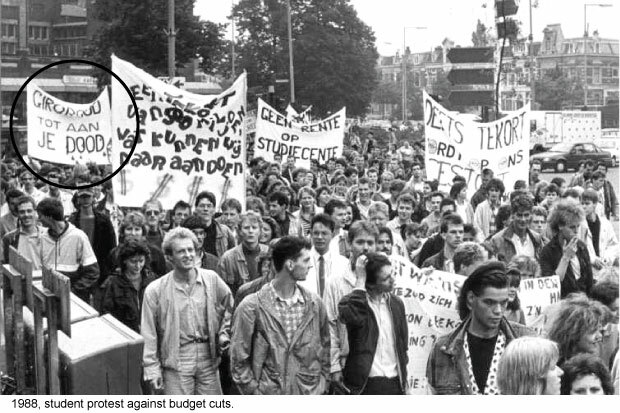 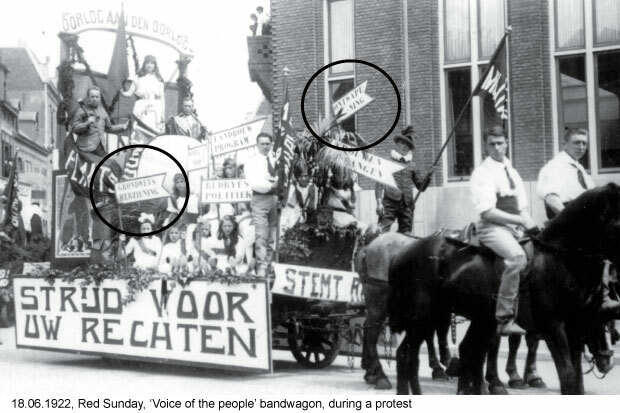 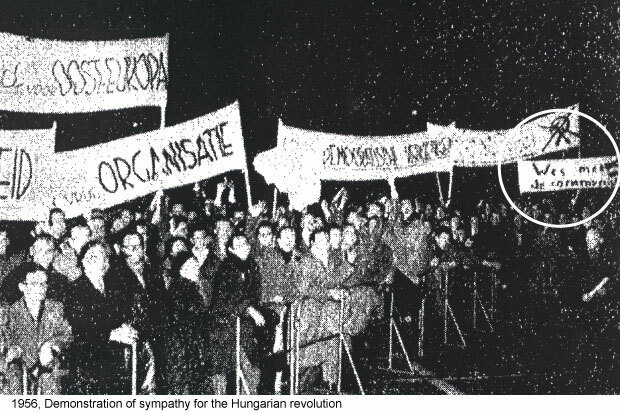 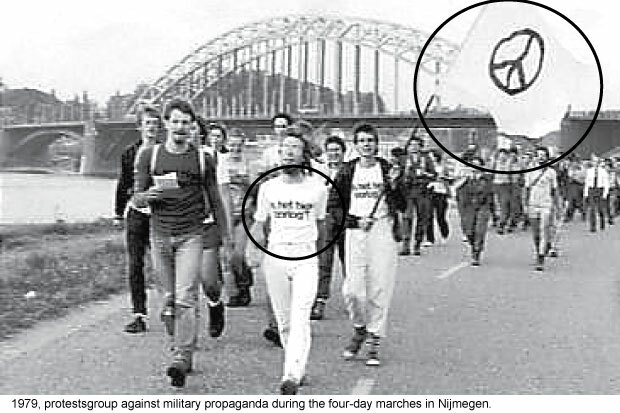 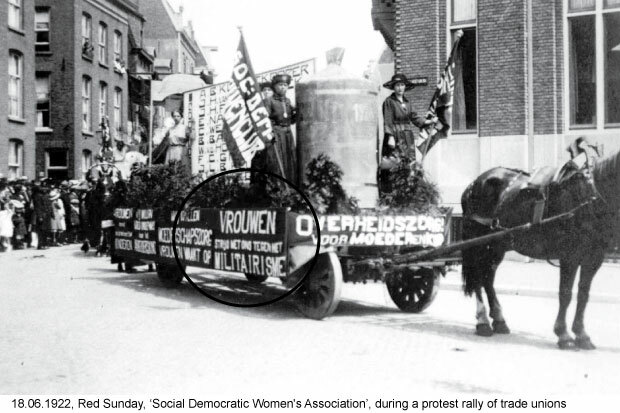 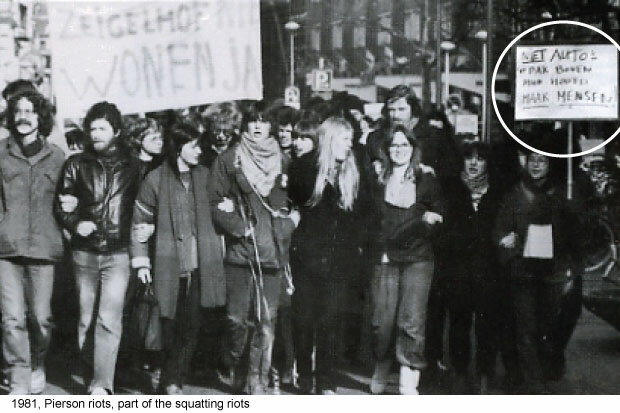 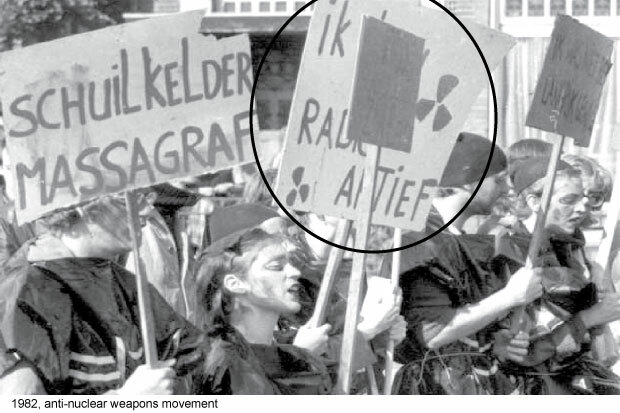 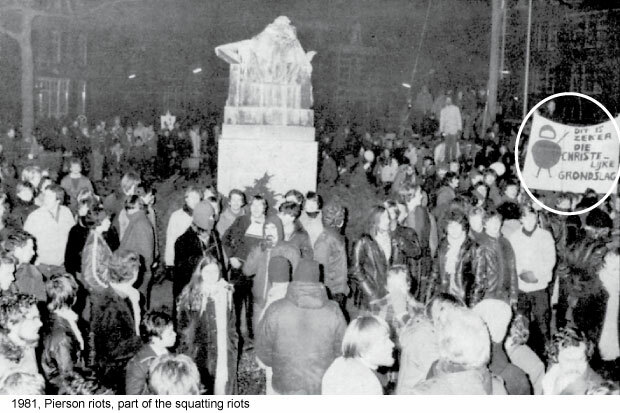 The circles in the archival pictures outline the banners and protest-signs that are reused in the performance. 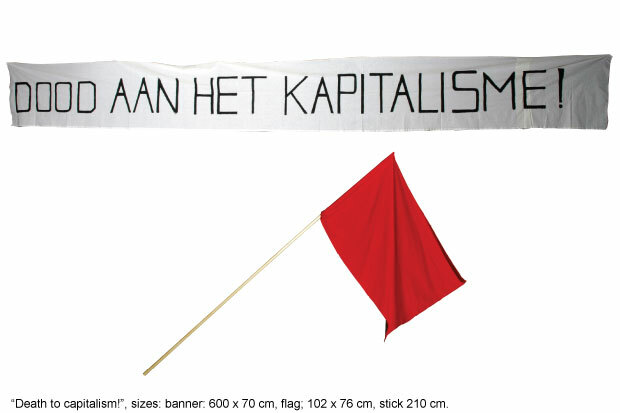 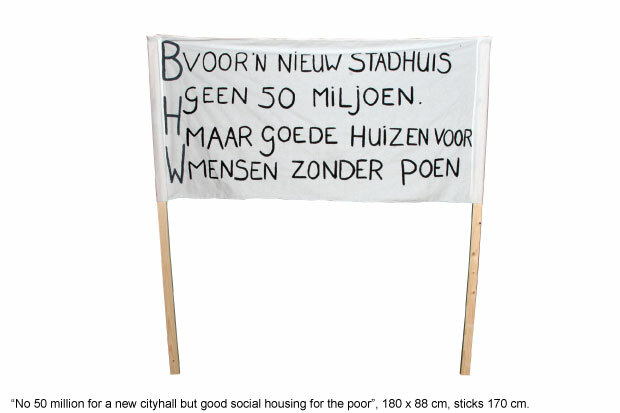 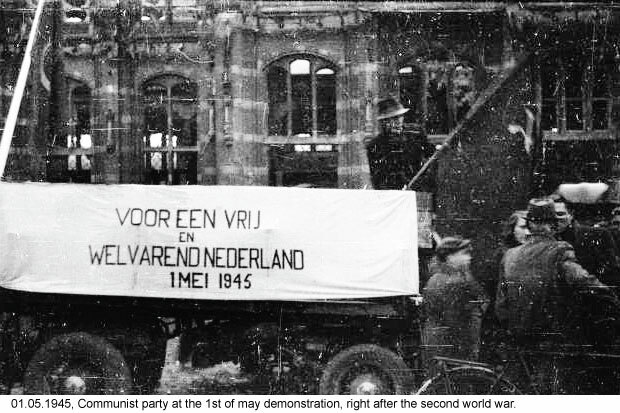 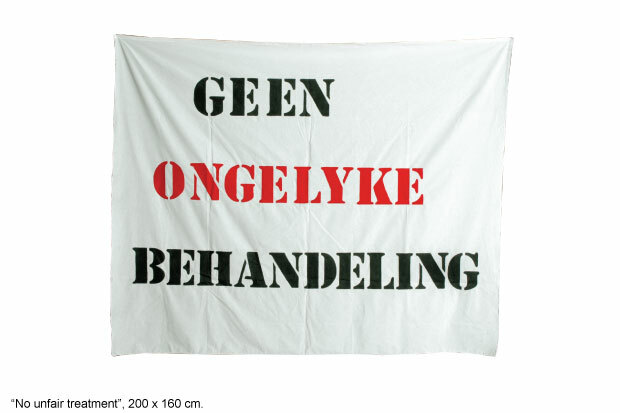 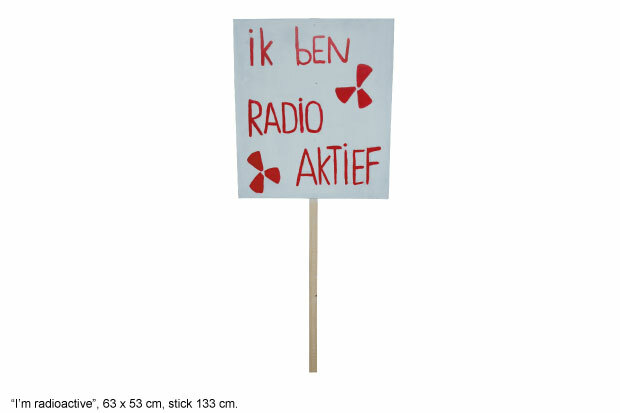 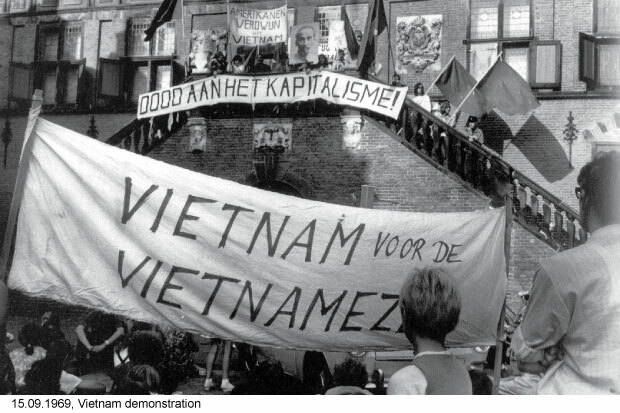 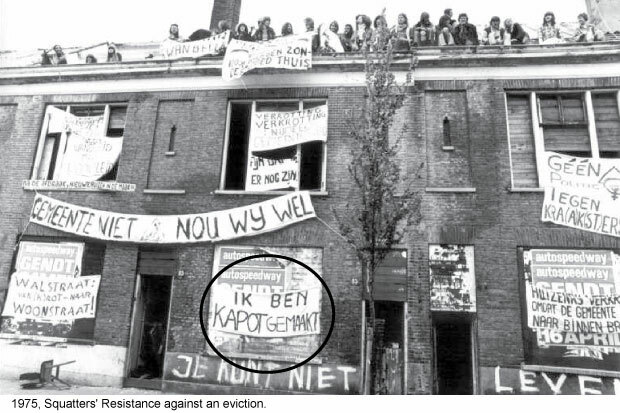 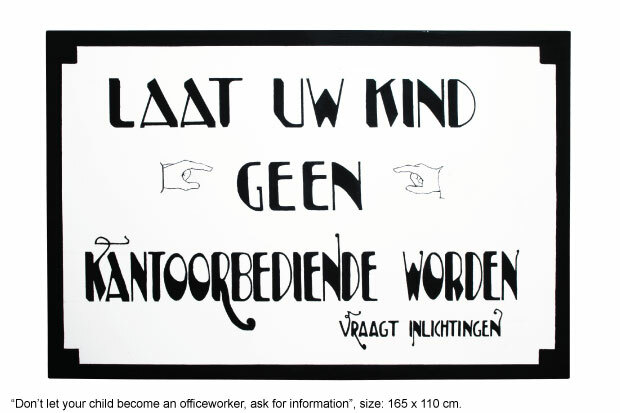 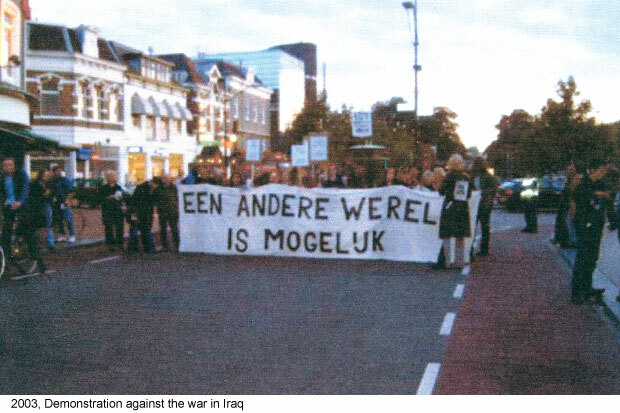 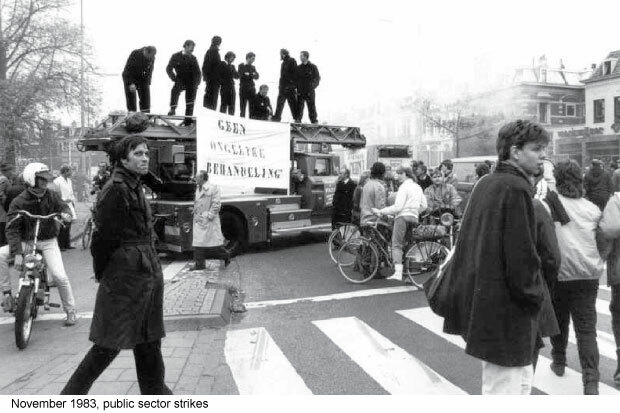 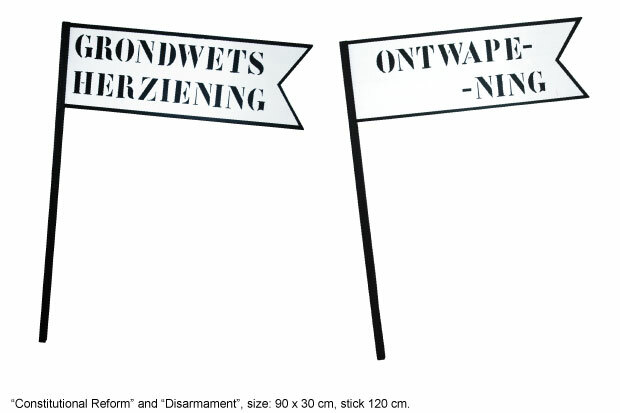 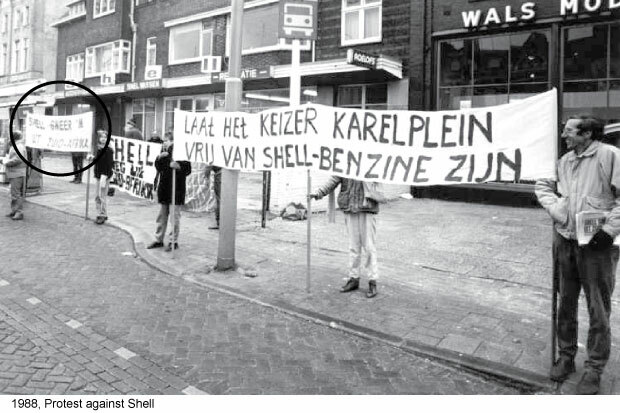 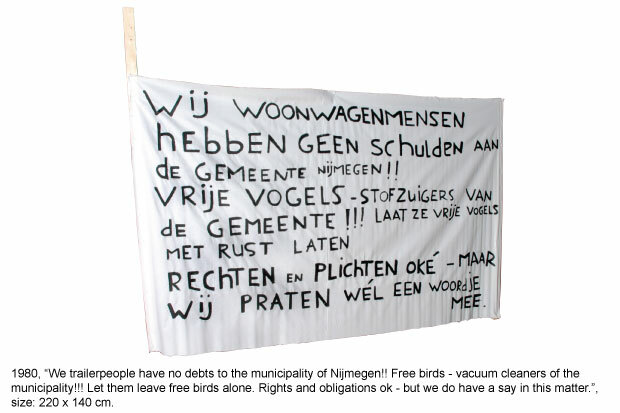 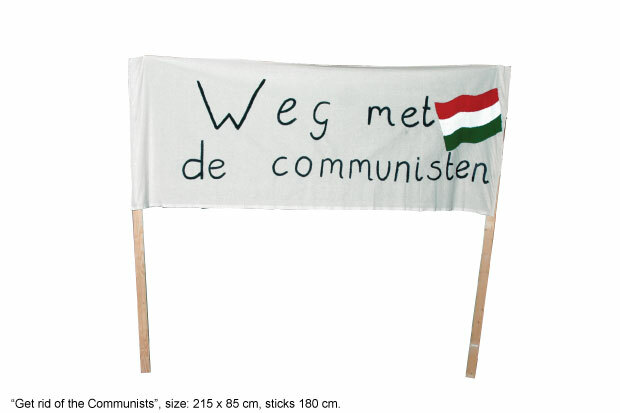 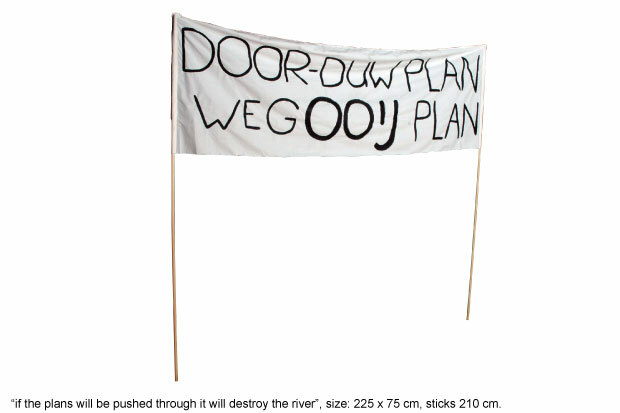 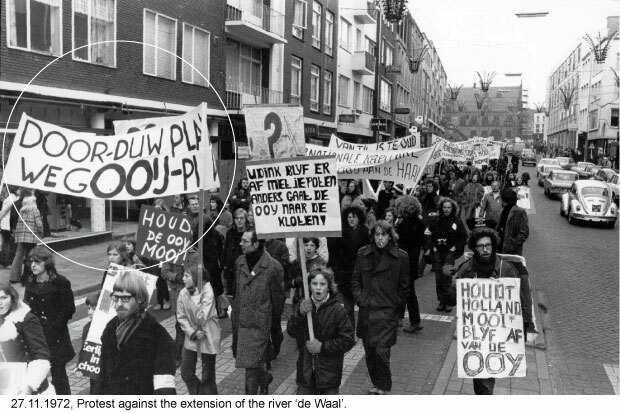 Date: 31.05.2007, 20:30 h. - 21:30 h.
The work was a demonstration of hundred years of protest in Nijmegen, a city with a rich history of activism. 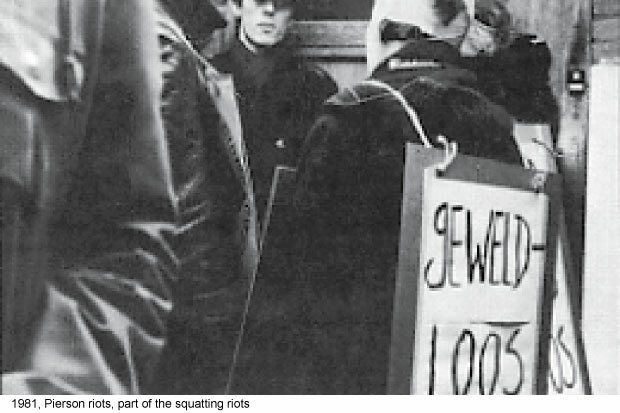 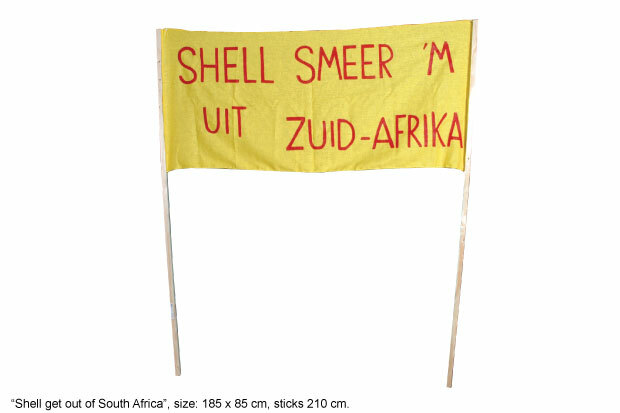 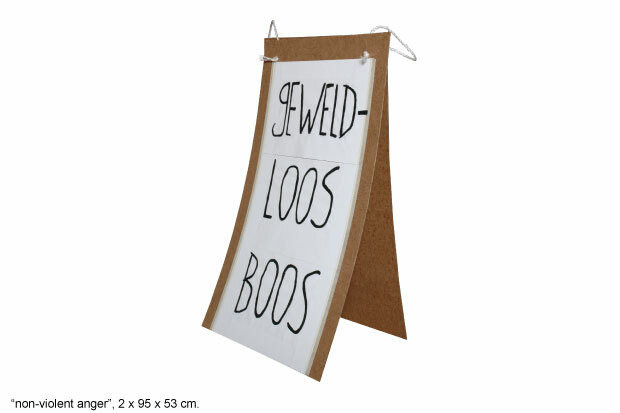 The banners and placards were replicas of ones used during previous protests. 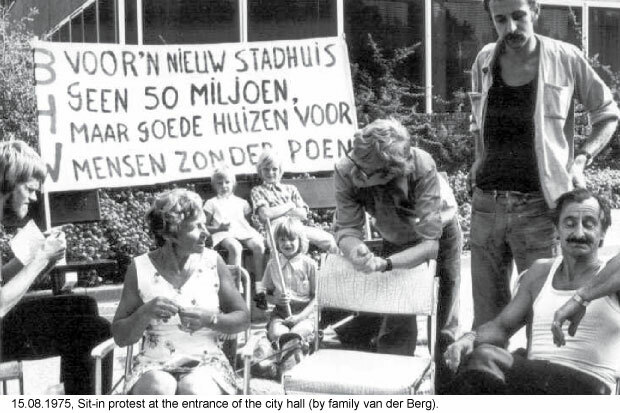 The performance took place with visitors of a performance festival. 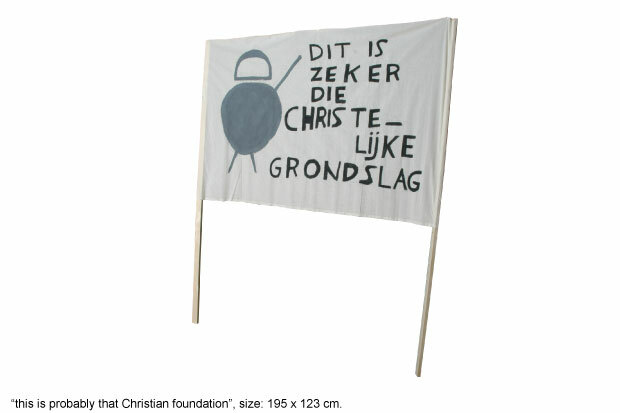 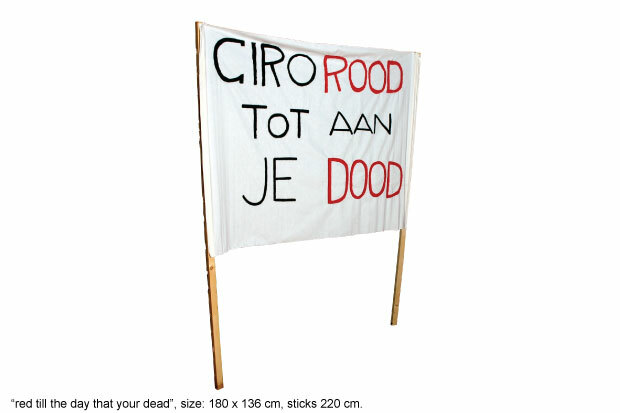 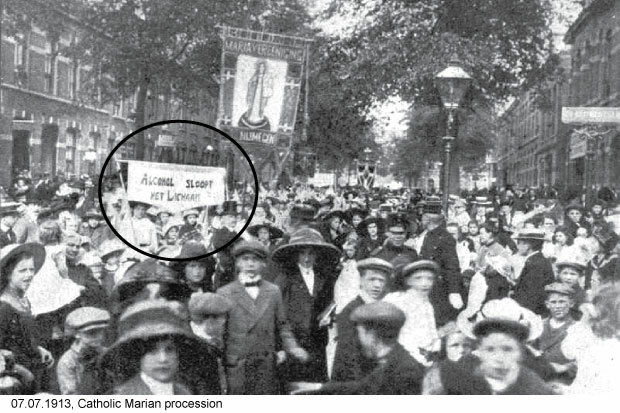 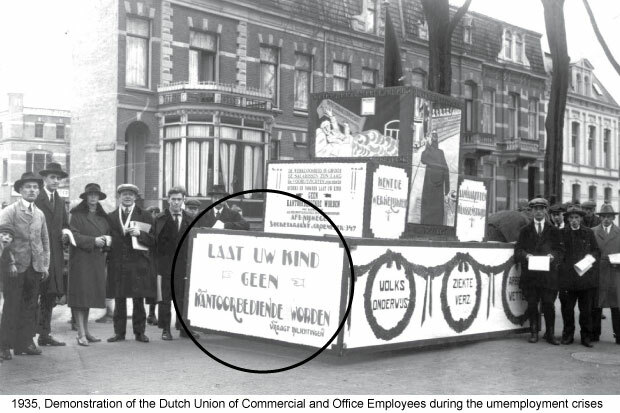 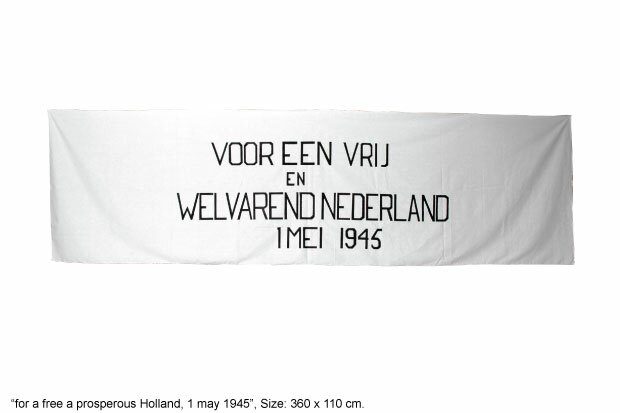 The oldest banner in the performance was originally used in a Catholic procession of 1913. 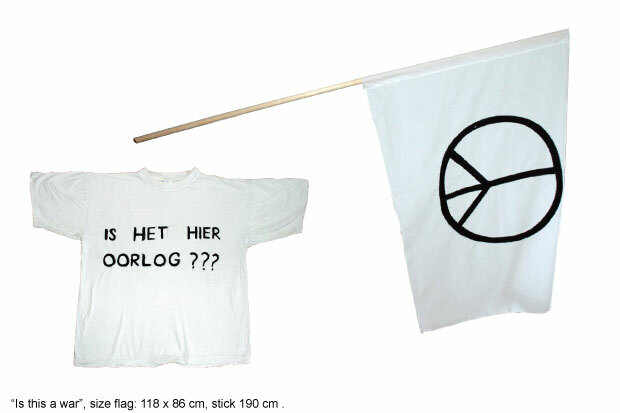 The most recent one was used in a manifestation against G8 at 6 may 2007. 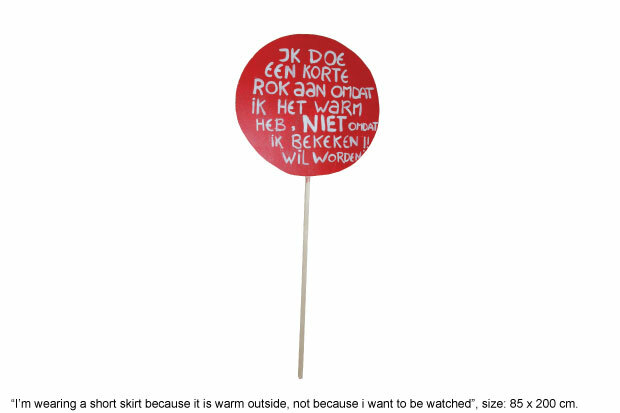 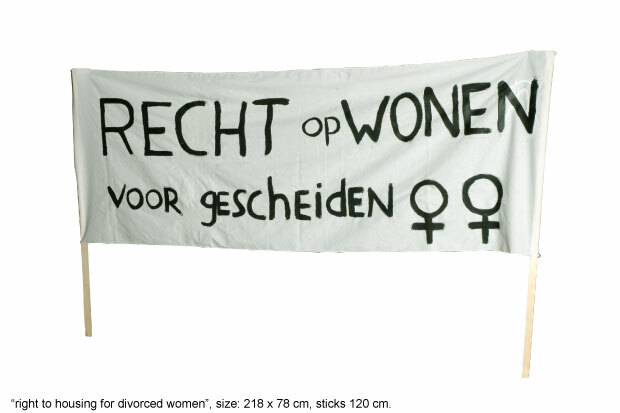 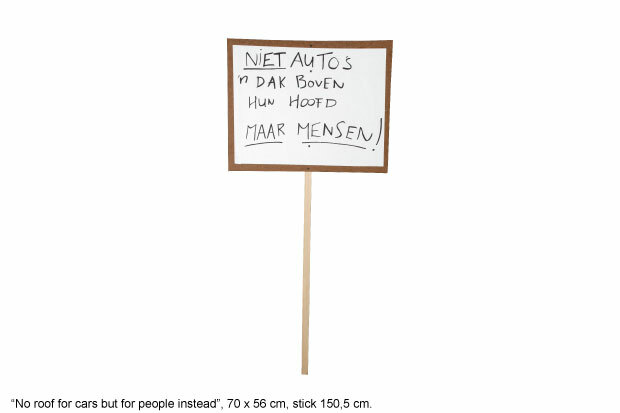 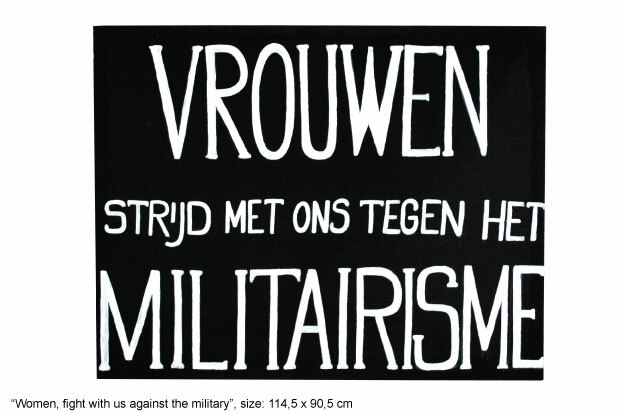 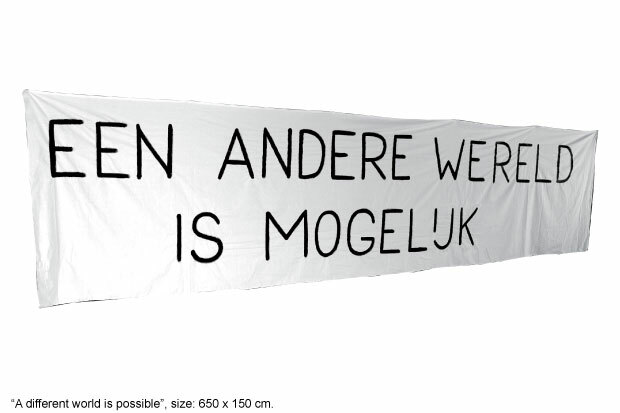 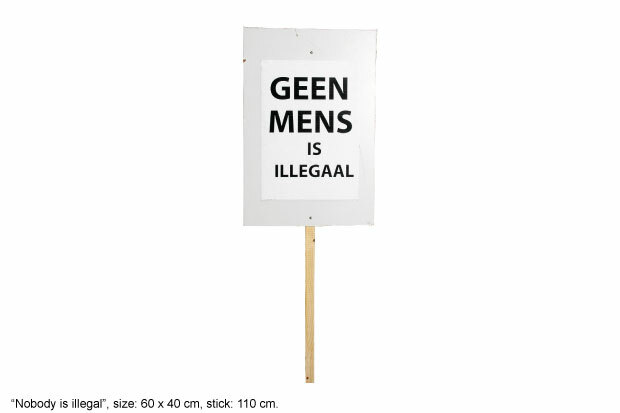 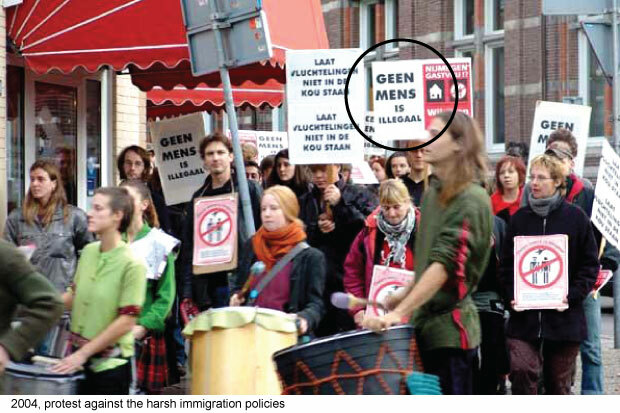 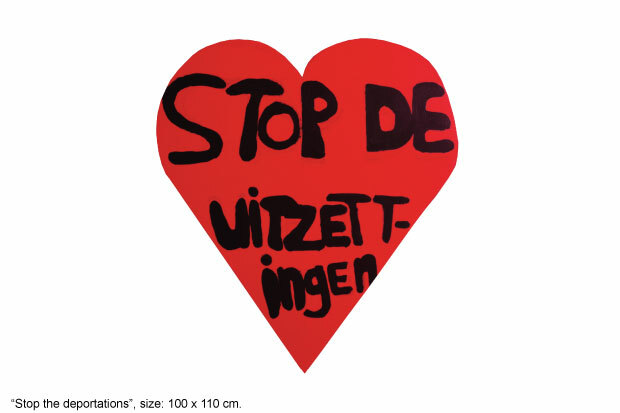 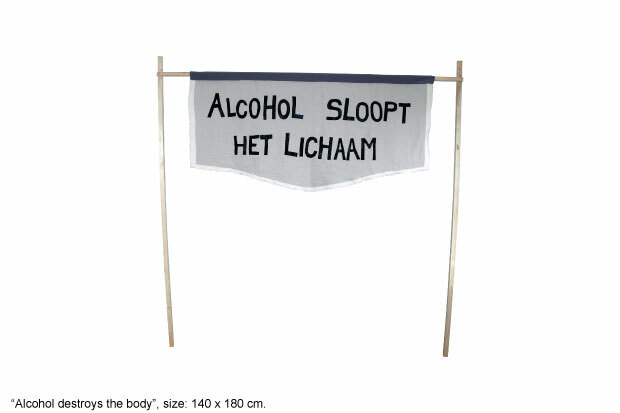 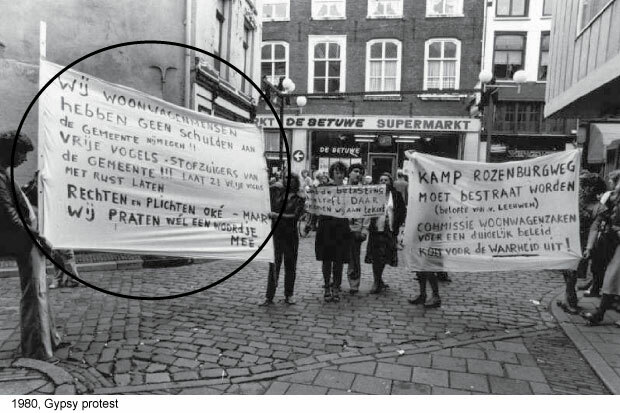 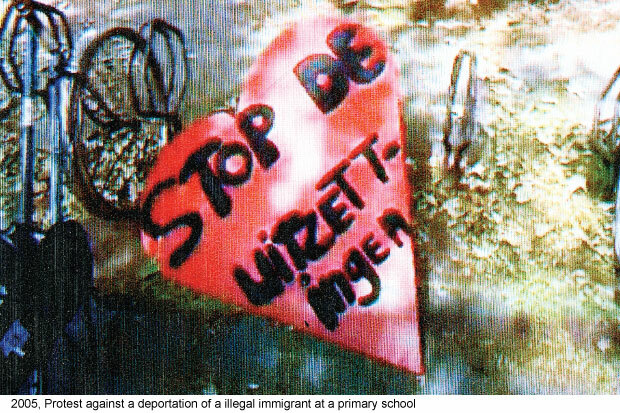 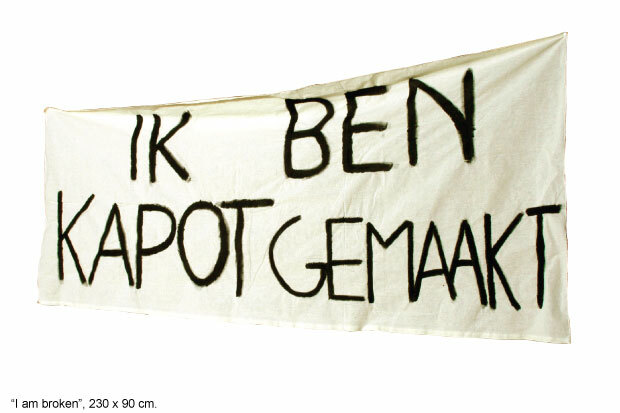 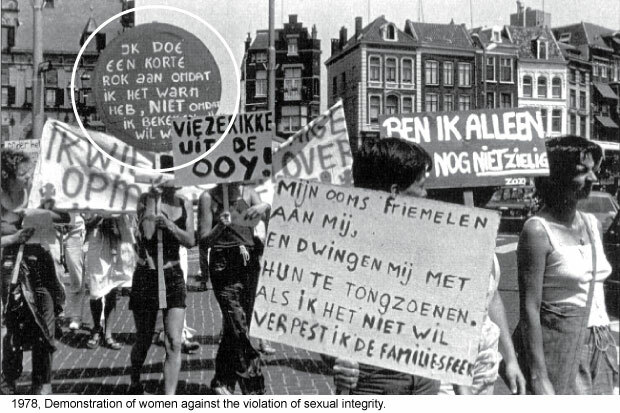 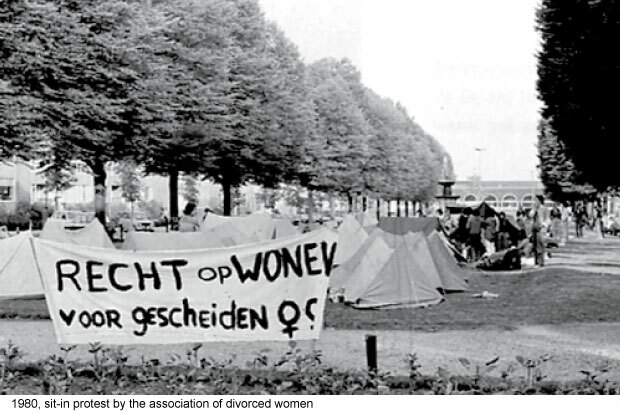 The performance showed a big variety of slogans; “I’m wearing a short skirt because it is warm outside, not because I want to be gazed at” (1978, demonstration of feminists), “No human is illegal” (2004, against the deportation of asylum seekers in the Netherlands), “Alcohol destroys your body” (1913, against alcohol abuse among workers), “Get rid of the communists” (1956, against the Russian military invasion in Hungary), etc.